Now you have made the decision to install a solar electric system or solar hot water system, make sure your investment is working at its best with Australia Wide Solar and our – Solar Maintenance, Tidy & Expansion program "Solmate"
Dirty solar panels can lose up to 25% efficiency! Solar panel manufacturers agree that cleaning and inspecting solar panels on a regular basis will improve electrical output. 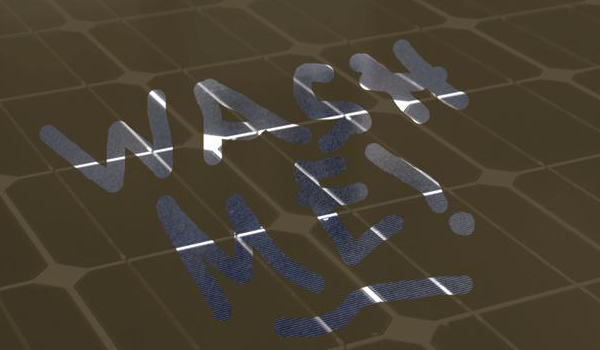 Regular cleaning and maintenance of your solar panels will also ensure that you don't void your warranty. Give your system the cleaning it deserves. Australia Wide Solar has been in business since the early days of generating electricity using energy from the sun. It first commenced business in 1992 and we have thousands of quality systems producing clean green energy. We are "Clean Energy Council Accredited, "licensed‟ and "fully insured‟. Have your solar electric systems or your solar hot water systems Maintained, Cleaned or Expanded by an expert installer with many years of quality installations. Australia Wide Solar designs, supplies, installs and maintains photovoltaic solar power systems to the domestic, commercial, industrial, community and local government market segments. We offer customized solar electric system and solar hot water system maintenance packages to suite a variation of customer needs and only install equipment backed by manufacturer warranties and with a proven strong field performance. Maintenance and inspection of your solar electric system or your solar hot water system as with any piece of equipment will help ensure system performance and minimize disruption due to component failure. If our described procedures differ from those suggested by your manufacturer and/or installer, follow the procedures outlined in the system user manual supplied with your system. After the solar modules have been cleaned, a visual inspection of the system will be done to check for defects such as cracks, chips and discoloration. When inspecting the solar modules, the condition of the solar array mounting frame should also be noted. Items to observe will include the array mounting bolts (eg. bolts rusting) and checks to ensure that the solar array mounting frame and solar modules are firmly secured. If any obvious defects are found, note their location in the system logbook provided, so these can be monitored in the future in case further deterioration. Solar power systems are safe when operating correctly, however there are potentially dangerous hazards associated with some system components. Although 240V AC power is dangerous and can cause death when live exposed wires/terminals are touched or cause fire, it is generally safe when kept in good working order. 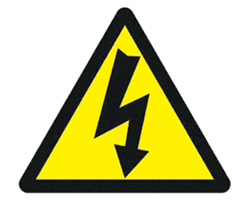 Any follow-up servicing requiring wiring must be undertaken by a suitably licensed electrical worker or Contractor.